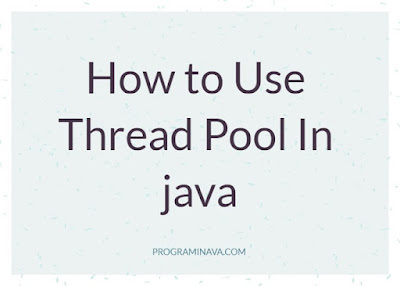 Most of the Important and most of the developer found one topic in java they perform a task and then they get destroyed. Purpose of multithreading is to perform multiple tasks simultaneously for effective utilization of our resources (time and CPU). 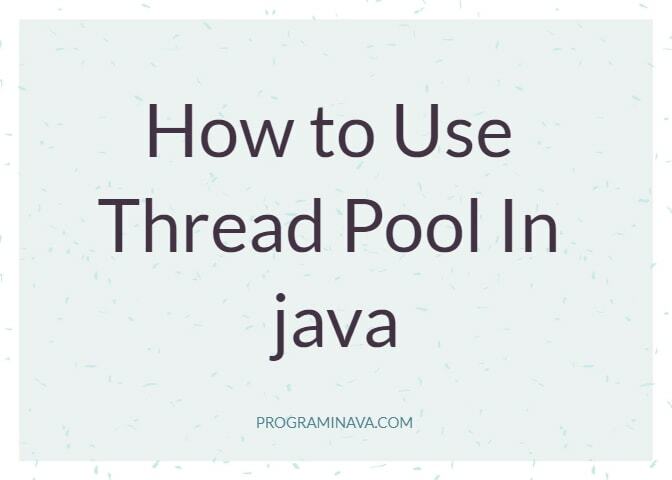 Imagine that there are 10 tasks to perform, so using traditional multithreading mechanism we will need 10 threads. Do you see a drawback in this approach? I see it; creation of a new thread per task will cause resource overhead. Most of the time we stuck in the situation where we need to do remote debugging of the application which is running on some server or somewhere other than localhost. We need to debug the code in eclipse. To do that we need to allow the running application to allow remote debugging. Generally, we know how to do remote debug in eclipse while the code is running on tomcat. 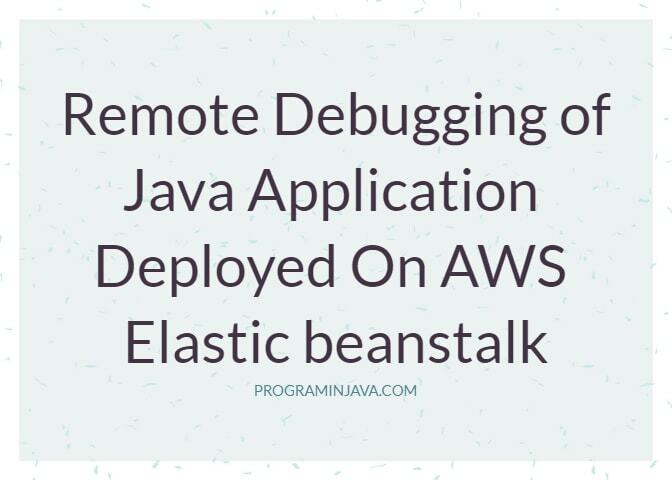 In this post, we will see how to do remote debug when the application is deployed over AWS by elastic beanstalk. 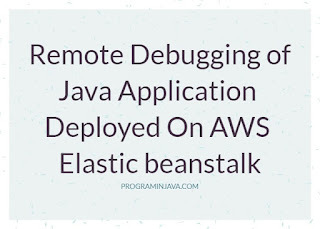 To do Remote debug of AWS deployed the application, we need to follow below steps. Now in Container Options, search for JVM options In this text box you need to write the below arguments. Now, these arguments say that - The remote debug will be listening at 5005 port. 4) After that you need to check which security group is defined for that EC2 Instance, you need to allow this port to communicate outside AWS. Select the Custom Protocol and define the Port as 5005 and then define Anywhere in Ip accessible. After this, you will be able to communicate the port with the local debugger of the eclipse. Now you need to configure the Local Eclipse environment for Remote debugging. Define the port as 5005 ( as defined above). Run the application and hurray, are now connected with the AWS application running. Now you will be able to debug remotely. Hope you like the post, If so please share it with your friends and family. Most of us know nowadays that AWS is used for almost everything because of its cheap price as well its availability. AWS S3 is an online storage for storing file and images and zip, literally everything you want to put. Most of us have some use cases where we want to upload the image to aws s3 so that it can we used anywhere we want. 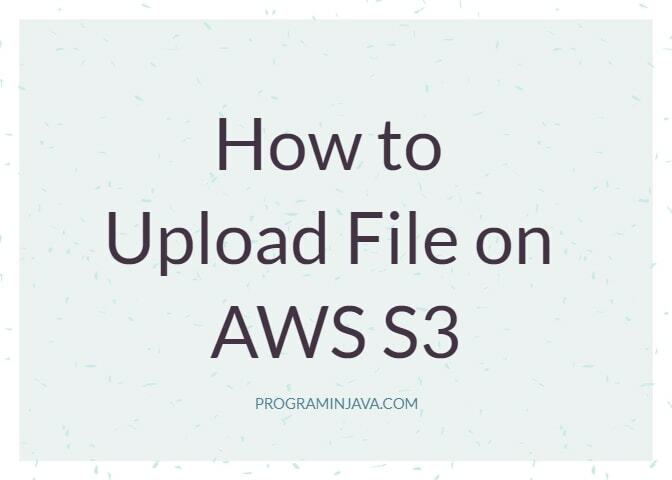 #Usercase we need to get the file or Image from UI and need to upload it to AWS S3 using java. After successfully getting the connection we will use s3 API to put the image as an object in AWS. Note change <Your-Access-key_id> and <Your Secret_access_key> values with your access key. Now you need to save the access key file at a location below. 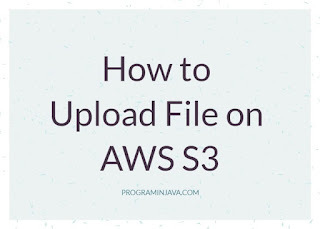 we will create one jsp file where we create upload file and call the spring controller , under the controller, you can see the file and it will store to the aws s3. Now we will see the Upload Controller Code. So this is how we can see the myPhoto is now uploaded on AWS S3. While we do unit testing, we mostly encounter the situation where we need to do the unit testing of a method which is calling a static method. if we are using mockito for doing mocking, We will have to suffer as mockito don't provide Static method mocking. Let's see in a simple manner what is required and how we achieve it. 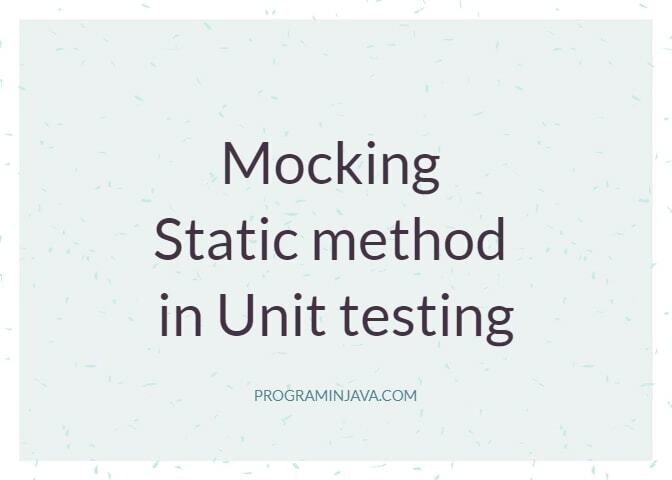 # Objective: We need to mock the static class which is being used in a method for which we are writing unit test. PowerMockito is a PowerMock’s extension API to support Mockito. It provides capabilities to work with the Java Reflection API in a simple way to overcome the problems of Mockito, such as the lack of ability to mock final, static or private methods. <StaticClassName> will be replace with you static class Name. Now let see the example. Now let see the class for with we will write test case. When you run this you will be able to see the test will be run successfully and it will get passed. If you have any issue regarding the above concept, please let us know. 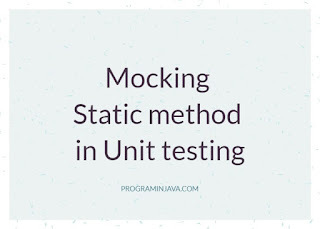 I hope this will help you in understand how to do mocking of static method in unit testing. 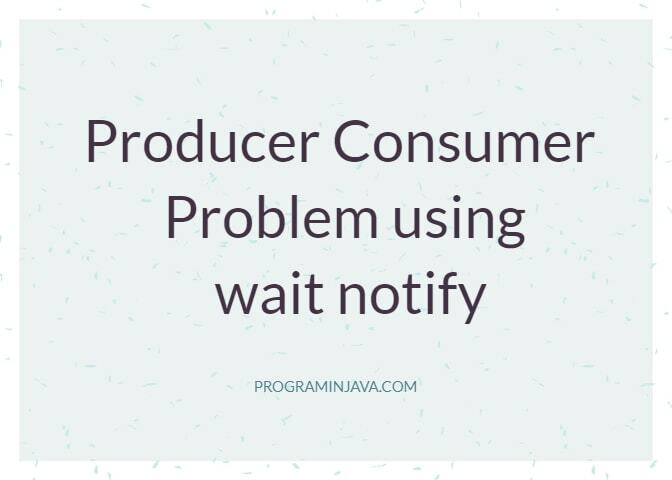 producer consumer problem implementation using wait notify methods. Most of you have heard about the Producer-Consumer problem where one is producing something and another is consuming it. Producer-Consumer Problem says that if we have a shared resource among 2 threads, and producer's job is to generate the data and put it in the buffer and consumer's job is to take the data from the buffer but then where is the problem? So problem is there should not be a scenario where the producer has produced the data more than the buffer size, which results in overflow problem also consumer should not consume all the data in the buffer and again try, which result in underflow problem. So basically its a multi-thread synchronization problem. Now, what is the solution? We can use wait-notify mechanism to solve this problem of synchronization. We will have 2 thread one is to produce random data and second will get the random data from the shared LinkedList (or and queue). In produce() method we will write random generator and also be checking whether the size of linked list is less than 10 or not if greater we will call wait method over the object called lock which we are using for the locking mechanism. when produce() put the data in linkedlist it will call lock.notify() which will notify the second thread that there are some data stored in the linked list. 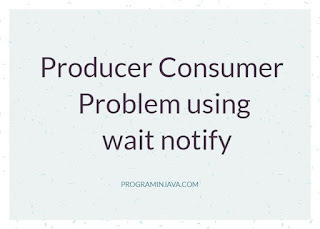 now in consume() we will have a check for the linked list size should not be 0 if so we will call lock.wait() else we will take the data from the list and notify the producer(). Now let see the implementation of the above approach. Now we will see the 2 thread class and how we are calling them. 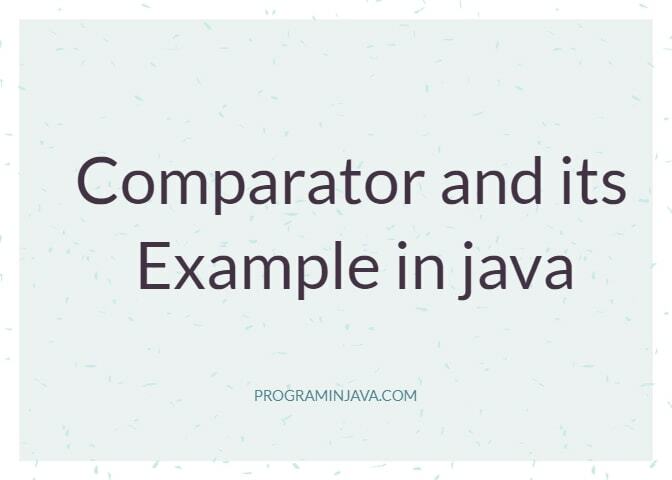 In our previous post we have learn about what is comparable , In this article we will see basics about Comparator. 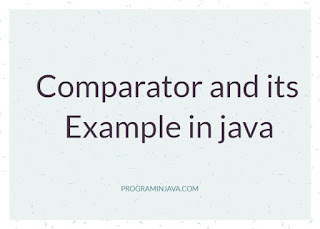 Comparator is a interface which is used to order the different user defined objects. When we have 2 object of different classes we want to order them we will use comparator. Learn about What is Comparable? We have an array of person , we want to sort them on different basis , like on the basis of age of the person , or on the basis of name of the person. there are 2 questions comes in our mind , can we use comparable , - No ( as we can only compare on one of the 2 basis not both) , can we use comparator - Yes . We will first create one person class . Now we will create one Main class where we will create list of person. and then we will use Collections.sort and pass the list along with the comparator , we want to use for sorting. Here we can see that the Objects are sorted on the basis of name , we can also do it by using age comparator as well. If you have any issue , Please let us know , if you want any other topic to be covered in our next article please leave us a comment. If you like this article please share it with your friends as well. What is a comparable interface? 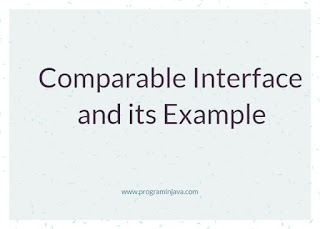 Comparable interface is used to sort the objects on the basis of any one variable, It is found in java.lang package and contain only one method compareTo(Object o). In java When we have a scenario where we need to sort the array of objects on the basis of there member variable, or to eligible the objects to compare we use Comparable. There are some good interview questions are there related to the comparable interface. 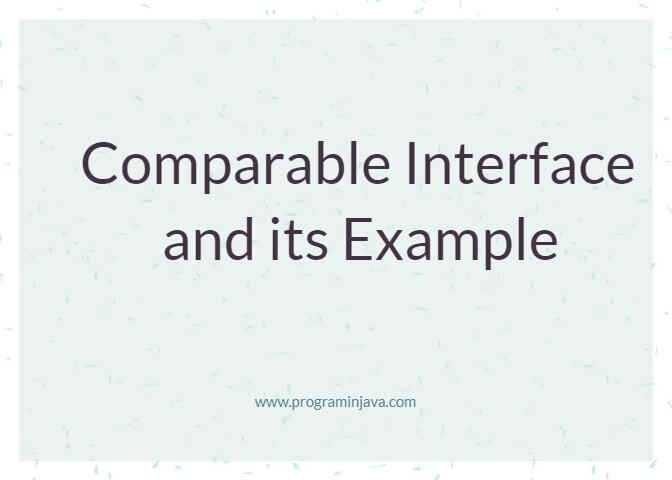 In this article, we will see one example of the implementation of the comparable interface and its explanation. #Objective - We have a list of student and we need to sort the list on the bases of student ages in ascending order. We will implement the Comparable interface in the student class. 1 when own variable is greater than compared object variable. -1 when the own variable is less than compared object variable. Now let see the implementation. I hope this will help you in understand how to implement comparable and when to implement it.